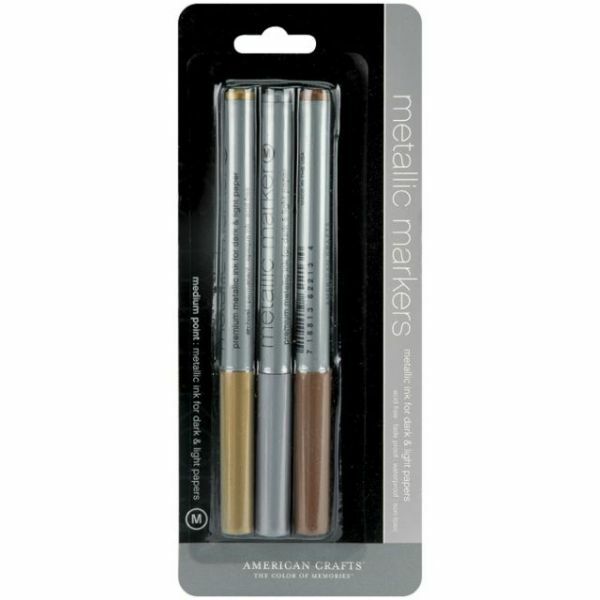 Metallic Markers - AMERICAN CRAFTS-The opaque, metallic paint-like inks in these markers create a hand painted sheen without the offensive odor and mess of paint markers. They are acid free, fade proof, waterproof, non-toxic, and permanent. 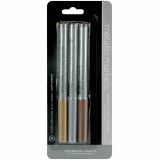 Add elegance to both light and dark paper and other surfaces.